Scaler is a chord helper/MIDI effect plug-in from Plugin Boutique that features over 100 artists and genre chord sets from the likes of Carl Cox, MJ Cole, Davide Carbone and Mike Huckaby. 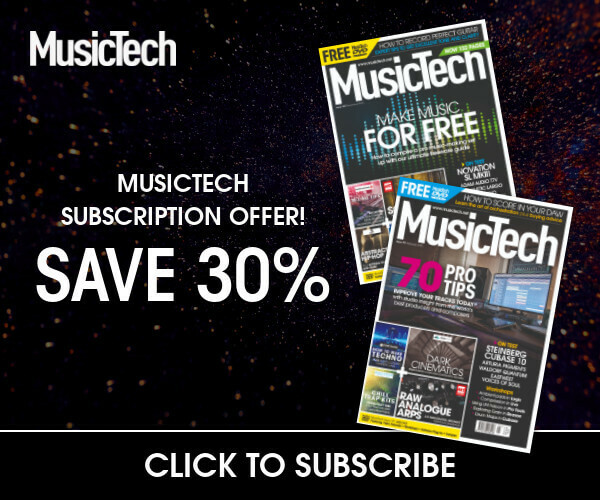 You can choose one of these as a starting point in the top half of the GUI, then build and fine-tune your progression in the bottom half, choosing from a large list of keys, scales and voicings, before dragging the MIDI straight into your DAW. Alternatively, there’s a detection section that can capture MIDI input, allowing you to experiment and develop different chord variations. You can route Scaler to your instrument of choice in Ableton Live, or use it as a MIDI plug-in directly in the instrument channel in Logic. 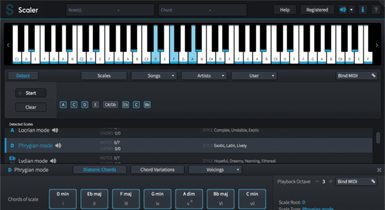 In practice, the workflow of the effect takes a while to get used to, and we would have liked to see more use of colour to help differentiate chord relationships, but at this price, Scaler is a bargain way to quickly expand your chord library and also work on your knowledge at the same time.